Love that wood stamp which is from the WPlus9 dockside backgrounds.The tiny star background is this one from Hero Arts. 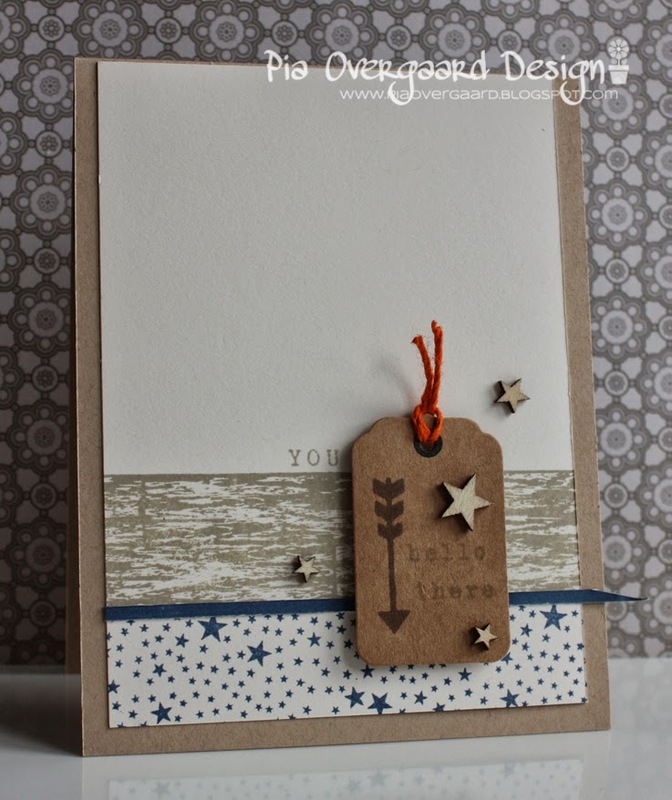 Stamps: Dockside Backgrounds, Wplus9, Tiny Stars Background Hero Arts, Sundrifter Love this Hero Arts. 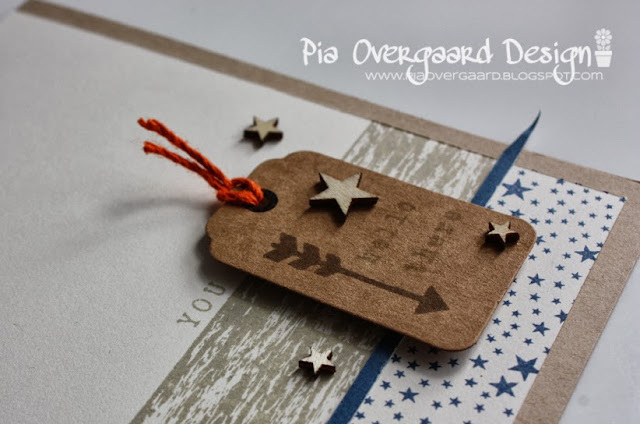 Other: Wood veener stars Studio Calico, Lawn Fawn Twine, tag from a local supermarket. I am entering this into the Moxie Fab World Metal, Wood & Cork Challenge.